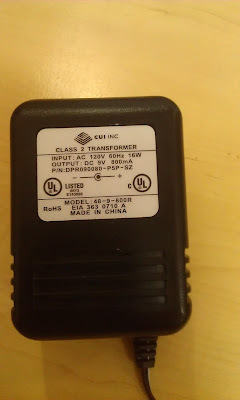 This is what happens when you plug in a AC/DC adapter meant for mains input of 110VAC/60Hz (USA/Japan) into a 230VAC/50Hz (India). 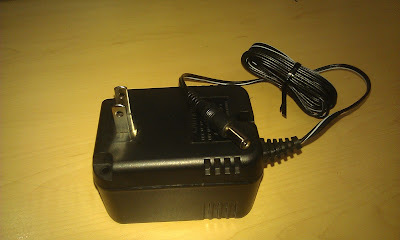 AC/DC adapter is a simple Stepdown Transformer > Bridge Rectifier > Capacitor type. You can see from the pictures that the windings on the primary side heated up and melted and shorted out. 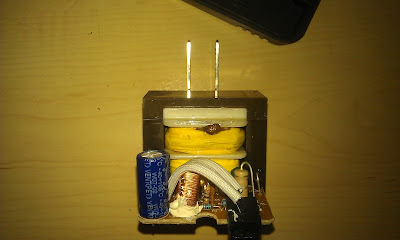 The heat also caused some insulation to melt and ooze out of the transformer. 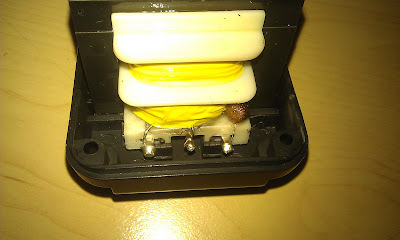 It seems the wall wart (colloquial for AC/DC Adapters) has grown warts of its own! Hemorrhoids even! !